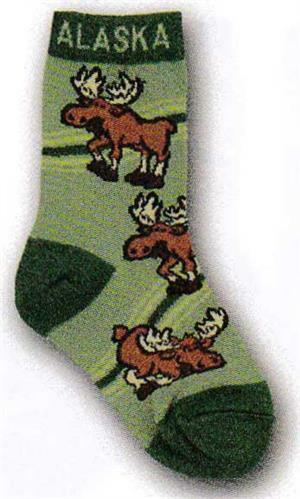 These moose socks make a great gift. Made from 82% Acrylic, 13% Polyester, 1% Spandex & 4% Other Fiber. Featuring images of playful moose with shades of green accents. Text reads ALASKA.